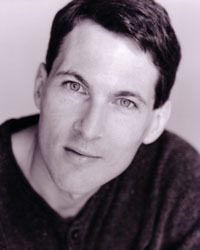 Vincent Delaney's plays have been produced and developed across the country at theatres like the Guthrie, Actors Theatre of Lousville, TACTnyc, Seattle Rep, ACT, the Alabama Shakespeare Festival, Florida Stage, InterAct, the Children's Theatre Company, the Magic, Woolly Mammoth, Pittsburgh Public, and Orlando Shakespeare Festival, among others. Awards include a McKnight Fellowship, a Jerome Commission, the Heideman Award, a Bush Fellowship, the Virtual Theatre Project New Play Award, and the Nathan Miller Award from the Sprenger Lang Foundation. He is a Core Alumnus of the Playwrights Center. THE SEQUENCE, commissioned by the Guthrie, has been produced around the country and in the UK. THE WAR PARTY was developed through the National New Play Network, and had simultaneous world premieres at Seattle Public Theatre and Philadelphia's InterAct Theatre. KUWAIT was first produced at the Humana Festival, and has since been produced in Minneapolis, Seattle, and the Sonoma County Rep, among others. It was recently filmed by Thursday Films and presented at festivals in Connecticut and New Hampshire. Other plays include PERPETUA (New Harmony Project, PlayLabs, O'Neill Finalist), WRITER 1272 (Seattle University, Guthrie BFA commission), THREE SCREAMS (developed at Luna Stage), and T or C (developed at Seattle Rep, the Lark, and recently optioned for a NY production). Vincent's plays are published by Smith and Kraus, Samuel French, Heineman, Dramatics Magazine, and Playscripts.com. Upcoming: AMPERSAND, a comedy about husbands, wives and clones.